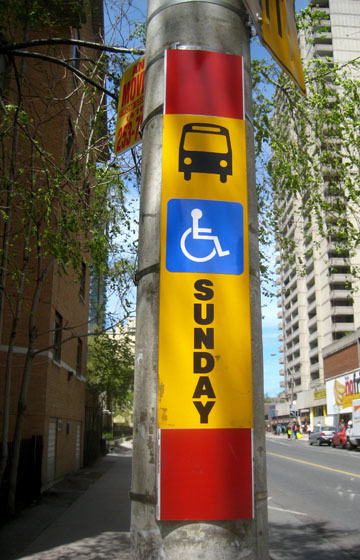 Harking back to an earlier time TORONTO’s Sunday transit stops, located near the city’s churches, are now things of the past. In an attempt to speed up service they were all removed. This entry was posted in History & Institutions and tagged Canada, Ontario, Toronto, TTC's Sunday stops Toronto. Bookmark the permalink.